I've been a Green Party member since 2012. I joined because only the Green Party was putting forward the bold and radical ideas needed. 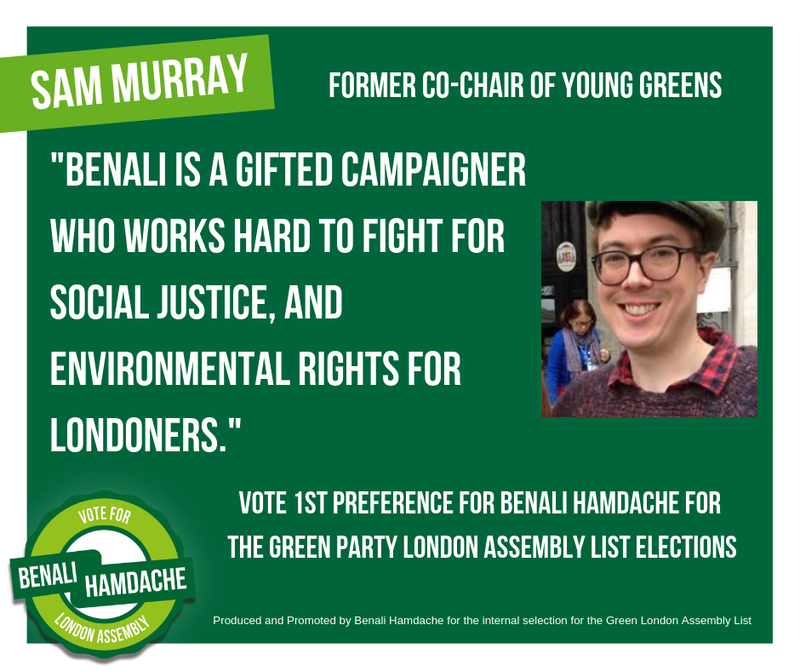 I was the co-coordinator of London Green Party in 2014. 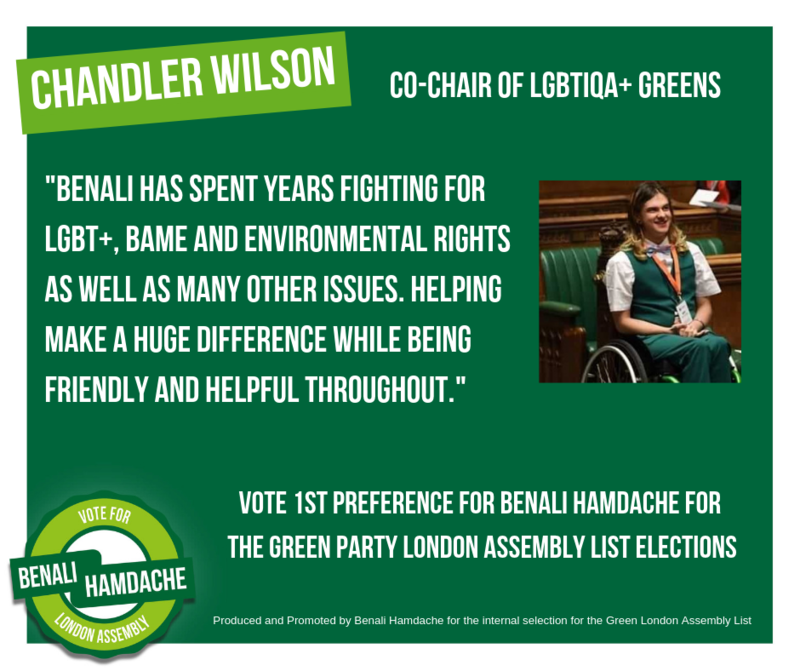 I've been the co-chair of LGBTIQA+ Greens for two terms. I was the party's Equalities Spokesperson during the 2015 General Election. At the last local election I was 73 votes away from becoming an Islington Councillor. I have co-authored our LGBTIQA+ Manifesto and BAME manifestos at a number of General and London elections. I've worked in campaigns now since 2014. In my day job I work as a Campaign Manager for a major health charity. I can bring my campaign experience to the Assembly and to our election efforts. During the EU Referendum I worked as the Training Manager for the Britain Stronger in Europe campaign. 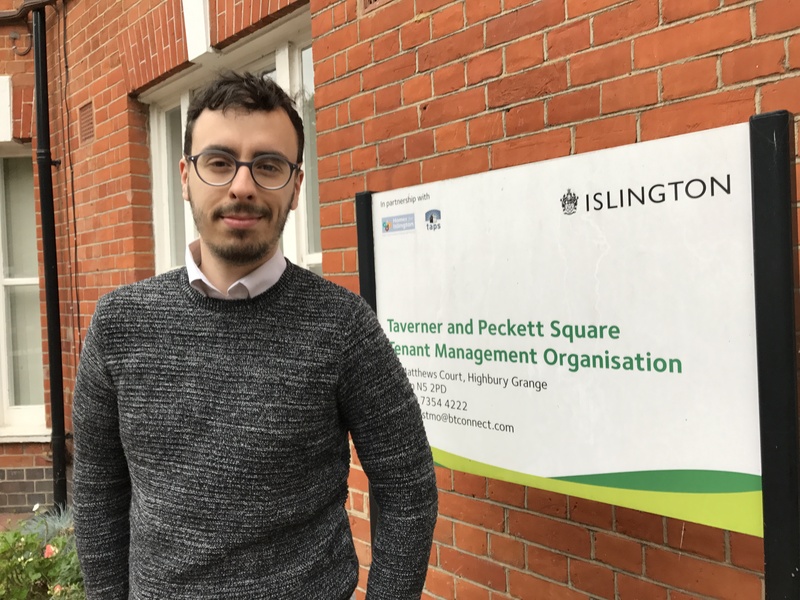 Since the referendum I've supported local remain campaigners in Islington In. As the Equalities Spokesperson I've represented the party in a variety of LGBT+ and ethnic minority events and publications. I've worked on successful campaigns on LGBT inclusive education, anonymous CVs and community Prides. I was number 8 last time on the London Assembly List. I've also stood at the 2017 General Election - standing in Islington South and Finsbury.